Under our Platinum Single and Multi-Trip policies, there is cover to cancel your trip for any unexpected or unforeseen cause beyond your reasonable control, including Brexit related issues. Financial failure cover if your airline or tour operator goes bust before or during your trip. If you miss your outbound departure. Plus much more, visit this page for more details. The UK Parliament has to collectively support the Withdrawal Agreement, for it to pass. Currently there are endless debates, and there has now been a “flextension,” meaning we have until October 31st to leave the EU. This being said the EU have said they will not reopen the withdrawal agreement or change the Irish backstop. If an agreement cannot be reach, we may then face a ‘hard Brexit.’ This means that both parties’ will part and go their own way, and all past agreements will expire. We hope both sides come together, in a bid to avoid this scenario as the consequences could be significant, especially for travel. Will I need a new passport if I’m travelling to Europe post-Brexit? As a member of the EU, UK travellers are only required to have a passport which is ‘in date’ on the day they return home, to the UK. Under the Withdrawal Agreement, UK travellers’ passports will have to extend beyond the date of return (although this is yet to be finalised). If we do face a hard Brexit, its suggested that UK travellers would be treated the same as travellers from non-EU countries, which means UK passports require a minimum validity of three-months beyond the departure date from the EU, and it must be issued within the last ten years. There has been a technical notice on passports issued by the UK government, recommending that travellers should make sure they have a minimum of 6 months left on their passport (from the date of return to the UK). If you are concerned about your passport when travelling to or from the UK, we recommend this passport tracker tool. If I want to travel to Europe post-Brexit, will I need a visa? The EU has confirmed that it intends to allow UK travellers to travel to the Schengen area for short stays of up to 90 days within any 180-day timeframe, without requiring a visa. This agreement stands as long as the UK will allow the same freedom for EU travellers. Even in the event of a hard Brexit, this agreement stands. In 2021 however, all this will be revised. UK travellers will be part of the new European Travel Information and Authorisation System (ETIAS), which shares similarities with the ESTA regime which allows travel to the US. The ETIAS System will expect every traveller visiting the Schengen area to have an electronic travel authority (ETA), assigned prior to travel. ETA’s can be applied for online. They will last 3 years and cost 7 euros. Prior to boarding, expect airlines and ferry/cruise companies to check that all UK travellers have their valid travel authorisation to hand. Can I still use the EHIC post-Brexit? UK travellers have relied on The European Health Insurance Card (EHIC) for years. It ensures you receive free or discounted medical care in public hospitals. The UK Government want the EHIC to remain valid, however in the case of a hard Brexit, any right to use the EHIC would cease instantly. For this reason, travellers are urged to purchase appropriate travel insurance, which covers any medical emergencies whilst in the EU. It is also important that travellers are aware, that no matter the circumstance, a medical prescription distributed in the UK will no longer be valid in EU pharmacies. Therefore, travellers should ensure they have a suitable supply of any medication to last throughout their trip. Currently there is an ‘open skies’ arrangement which has been agreed with other countries on behalf of EU members (UK included) based on the air safety regulator of each member (in the UK this is the Civil Aviation Authority) applying settled safety standards. By leaving the EU, the UK will lose all right to this arrangement. The UK Government has already successful negotiated agreements to fly to the USA, Canada and the majority of long-haul destinations. Whether or not UK carriers can fly scheduled air services to any country covered by EU agreements, depends on whether the UK Government can come to an agreement with those countries. The European Commission have announced that if the UK crashes out without a deal, then there will be no transition period and UK travellers can expect significant disruption at the borders. Furthermore, passengers who are catching a connected flight will not be required to undergo a second round of security checks. The main concern stems from a hard Brexit, where UK airlines may not be able to fly from an EU airport to a destination other than the UK. Will my driving license still be valid in the EU after Brexit? Currently, UK residents driving in an EU country require only a full UK drivers license. It has been confirmed that under the Withdrawal Agreement- this will continue. However, in the event of a hard Brexit, UK drivers will have to purchase an international driving permit (IDP) which you can pick up from the Post Office, for just £5.50. There are 3 different forms of IDP, and you may find that if you are travelling throughout Europe, you might need more than one. You will not need to purchase an IDP if you want to drive in the Republic of Ireland, no matter the Brexit outcome. If you already own an IDP, check to see if its applicable in the country you are visiting. To find out more about the IDP click here. Will I need a green card if I am taking my own car on holiday post-Brexit? Current EU arrangements confirm that all member states are part of the ‘free circulation zone’, meaning vehicles from those countries are not required to carry paper documents proving that they are insured. In the case of a hard Brexit, the UK will no longer be part of this arrangement, so motorists will have to carry a green card with them. This is a paper document, printed on green paper, promising that the driver’s insurance company will cover any claims made against the driver’s policy whilst driving in the EU. The Association Of British Insurers also has a helpful Q&A section to help for motorists. Will I still be entitled to duty free goods after Brexit? If there is a hard Brexit, travellers between the UK and EU will have access to duty free allowances on certain items. This being said, there could be different allowances for those entering the EU and those entering the UK. If you are travelling to the EU, information on the items involved and allowances can be found on the European Commission website. There is a chance that the rules currently in place for people coming to the UK from outside the EU post-Brexit will also apply to those coming from the EU. This means that the blue customs channel in the arrival hall will go, leaving travellers the option between red and green channels only. UK travellers will still be able to request VAT refunds on certain goods purchased with the EU, as long as they are shown to customs on departure from the EU accompanied with relevant VAT refund documentation. Current EU regulations state that travellers on package holidays have certain right under the Package Travel Directive (EU) 2015/2302. The UK Government have introduced this into UK law under The Package Travel and Linked Travel Arrangement Regulations 2018. Under this legislation, if a customer purchases a package holiday which gets cancelled for any reason (besides the customer cancelling or failing to turn up at the departure point), the tour organiser is obliged to provide a full refund of payments received for the package. Research highlights that when a package holiday has been booked before the October 31st 2019, and the operator can no longer provide the booked package holiday components as a result of a hard Brexit, the customer would be entitled to a full refund. This being said, the operator would not be obliged to pay any additional compensation. When it comes to holiday components being separately arranged (for example the flight and accommodation booked separately) before the October 31st 2019, the situation becomes more complex. If there were to be a hard Brexit, and the airline was grounded, travellers would receive a full refund for the cost of the flight. However, the accommodation provider would not be obliged to provide a refund, given that they can argue that the villa or hotel was available. In this case, sadly, the traveller would be at a loss – unless they had quality travel insurance in place which covered such a scenario. As part of the EU regulations, travellers going on package holidays have some rights under the Package Travel Directive (EU) 2015/2302. The UK Government has developed this into a UK law under The Package Travel and Linked Travel Arrangement Regulations 2018. The legislation permits tour organisers to increase the package price in some circumstance, for example exchange rates, on the basis it is relevant to the package, such as accommodation costs. If my flight is delayed due to Brexit will I be entitled to compensation? As part of the EU Regulation 261/2004, travellers are entitled to claim compensation up to €600 (depending on length of delay and flight duration) from the airline. Keep in mind, that this is not applicable for delays caused by circumstances outside of the airline’s control, such as dangerous weather conditions. This legislation has also been introduced by the UK Government post-Brexit. This being said, it could be argued that delays caused by a hard Brexit would not qualify under this legislation, as the circumstance is out of the airline’s control. The EU Commission has announced that if the UK leave the EU on April 12th with no deal, then there will be no transition period, and UK travellers can expect “significant disruption” at the borders. What happens if my tour operator or airline stop trading due to Brexit? There is a chance that a tour operator, airline, accommodation supplier or another trip component supplier, could struggle financially following a hard Brexit. Under current EU regulations, travellers on package holidays are entitled to certain rights under the Package Travel Directive (EU) 2015/2302. The UK Government has already adopted this into UK law as part of The Package Travel and Linked Travel Arrangement Regulations 2018. This acknowledges that tour organisers are obligated to protect customer’s money, either through an insurance arrangement or by having a specified trust bank account. Travellers booking through a UK travel agent and tour operators should be protected, by either the ABTA and ATOL bonding schemes or something comparable to the Travel Trust Association. If travellers have arranged holiday components separately, they may be entitled to some protection providing they have paid via debit or credit card. This is under Section 75 of the Consumer Credit Act 1974. If travellers are not eligible for either option, then they should be able to claim on their travel insurance policy, as long as their policy covers for Financial Failure or End Supplier Failure. At Holidaysafe, we offer up to £3,000 Financial Failure cover on our Premier, Premier Plus and Premier Platinum policies. These policies also provide cover up to £1,000 if your tour organiser, airline, accommodation provider, or any other trip component supplier, ceases trading whilst you’re away. In this scenario, the policy cover would contribute to the cost of returning home with a service similar to the standard originally booked. Will my travel insurance be affected post-Brexit? 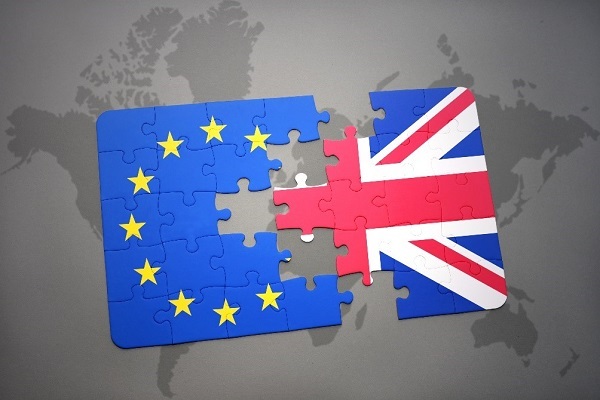 The EU and UK have both confirmed that there must be what is referred to as a ‘continuity of cover’ in respect to any insurance policies underwritten by UK and EU registered insurers. This mean that providing any policy is used for travel prior to Brexit, it will remain valid and cover will match the original policy documents at the time of purchase. Any customers who are travelling in the Schengen area when Brexit happens will continue to be covered.